A new version of the classic Agatha Christie novel, directed and starring Kenneth Branagh. The famous fictional Belgian sleuth Hercule Poirot finds himself stranded on a snowbound train in company with thirteen strangers and a corpse. You may know the outcome, so the fun will be watching a cast of top-notch performers including Judi Dench, Derek Jacobi, Johnny Depp and Michelle Pfeiffer. 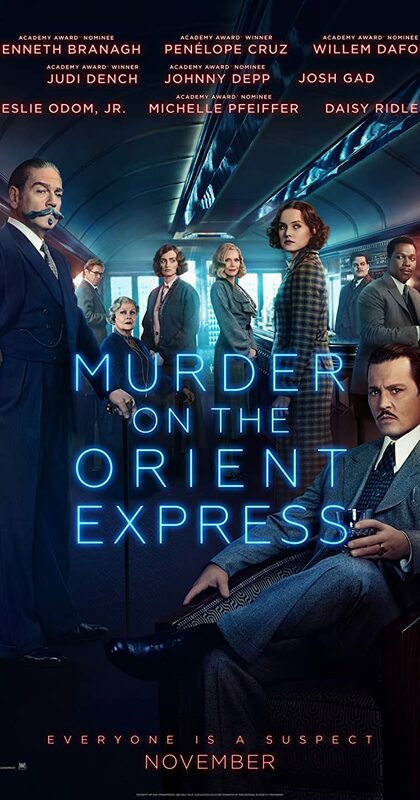 Murder on the Orient Express - A new version of the classic Agatha Christie novel, directed and starring Kenneth Branagh.